A look into the first World War that changed everything. On November 11th 1918 100 years ago the Germans were faced with the unavoidable victory of the Allied powers in the wake of the destructive Battle of Amiens months prior and faced with the fact that they could not win the war, the Germans signed an armistice agreement outside Compiegne France with the Allies bringing a close to the war to end all wars with deaths upwards of 16 million the effects of which shaped the modern world. This statement has ended up shaping many Americans future ideals on right, wrong, conquest and shaped the future world interactions of the 20th Century leading to future American interventionist policies of future administrations with the Korean and Vietnam Wars. Creating the idea that American democracy was right and should be spread to other nations. America before and after the war ended up being relatively the same much to the disappointment of President Wilson who wanted the U.S. to play more of a role in the world and to keep peace. “Wilson pleaded for the League of Nations as the only real hope for preventing future wars.” According to The American Pageant Chapter 29 page 688. But the U.S. did not join the League of Nations leading it to lack the same validity that the UN has. By the end of the war, the world saw an end to monarchies across Europe, including in Russia, Germany, Turkey, and Austria-Hungary, and with those deaths the world was exposed to the birth of communism in Russia, which would inevitably lead to not only the Red Scare and eventually the Cold War in the aftermath of World War Two. But Russia was not the only country changed drastically by the war Germany also saw a change in leadership. “The Treaty of Versailles put excessively harsh conditions on Germany and gave Hitler an easy target to hit, people hated the treaty of Versailles, Hitler could gain credibility and notoriety by dismantling the Treaty.” said history teacher Chad Richards. As a result of World War One Adolf Hitler a World War One veteran was able to rise to power and the world saw a rise in authoritative and fascist empires in places like Japan and Italy. The War to End all Wars saw vicious battles and fueled vicious results. 100 years later seemed to not be the solution to global conflicts but the beginning of even grander ones with some notable post World War One wars such as World War Two, Korean War, Vietnam, Gulf War, Afghanistan, and the Iraq War. 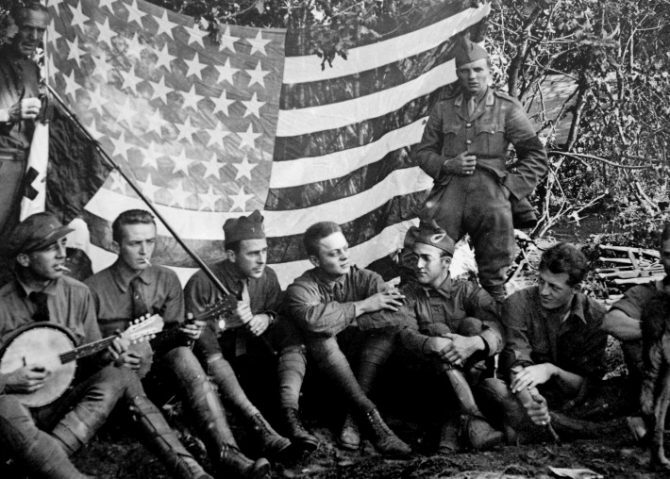 A notable outcome of WWI for many was how it led to start of other wars, primarily the Second World War a larger and arguably more impactful war for America that seems to have overshadowed WWI in America. “I think World War Two was more important. didn’t it get us through the depression?” said Dylan Bistany. Bistany was not alone in this belief. It’s important to understand that everything started with World War One, for without World War One there would be no World War Two and without those wars the world would be a very different place and 100 years later it’s important not to forget that it all started with World War One. World War One veteran Ernest Hemingway.